Video Surveillance can be a way to monitor for intruders or just keep an eye on the kids in the back yard. TheExperts can install a comprehensive video surveillance system in and around your home to keep you and your family safe and secure. You’ll monitor activities in real time and view live camera feeds from the convenience of your smartphone or tablet, from anywhere in the world. DVR’s and NVR’s may also be integrated into the system, in order to record footage for review at a later date. 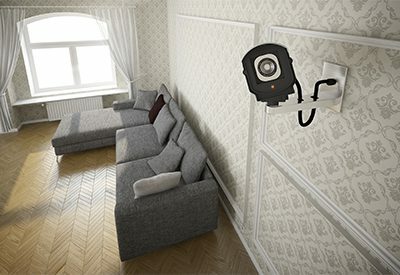 A host of camera options are available, from covert indoor cameras, to ultra-high definition weatherproof cameras with night vision. Even panoramic cameras, which can capture and record a full 360-degree view! A video surveillance system professionally installed by TheExperts will help keep you and your family safe and secure, while giving you peace of mind – so you can focus on enjoying quality time with your family.